We all know fashion is a popular style, most notably in clothing, hairstyle, footwear and accessories. We can also agree on makeup being an important part of fashion. People constantly try to look distinctive and attractive by adopting unique trends in style. Some people have gone too far by modifying their bodies. Celebrities are most active when it comes down to fashion. Style wise they have to look awesome all the time. For male celebrities it comes down to their suit, shoes, a nice classy watch and elegant hair style. For female celebrities’ jewelry and makeup also plays vital role in making them look gorgeous. People are constantly craving about the latest news of their favorite celebrity like what they eat, who dates who, where they are eating, where they go on vocation or what they wear and drive. Just like an outfit and hairstyle, a watch says a lot about persons personality. We have seen celebrities like Bradley Cooper’s wearing IWC Big Pilot, Matthew McConaughey wearing the Bulgari Octo Roma watch, Justin Timberlake in Rolex Oyster Perpetual Day-Date and Kit Harington accessorized with Jaeger-LeCoultre’s. Rolex Submariner Watches are very popular among celebrities. Many including Mark McGrath, Jesse Metcalfe, Nathan Petrelli, Johnny Depp and Luke Wilson have been seen wearing Rolex Submariner. Bell and Ross watches are very good-looking and many people like them. Bell & Ross is selling cool-looking watches with swiss automatic movement and unique dials. Their price hovers around $4,500. 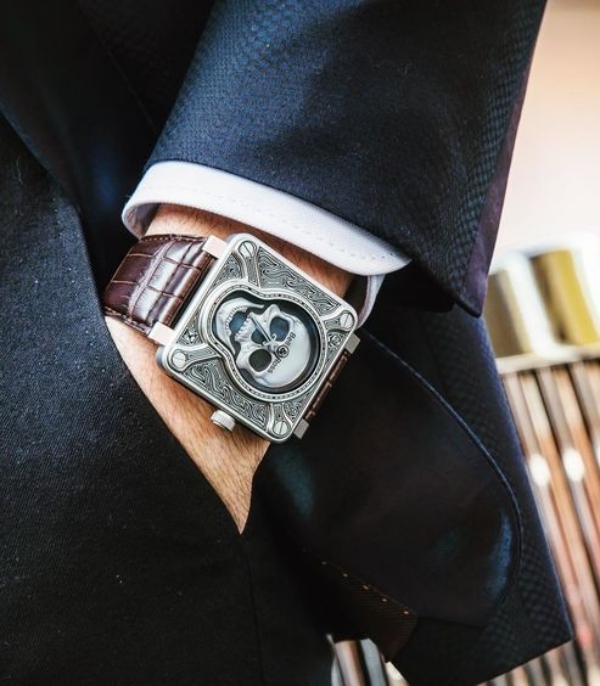 Watches are a piece of craft from its appearance to the heart of its movement. These are luxury accessories and every person have a limit to what he can spend but for celebrity’s money is nothing. They go all out when it comes down to fashion. With the introduction of Bell and Ross BR01, BR02 and BR03 instrument series the company has lumped into a whole another level. Particularly this series is very popular among celebrities. 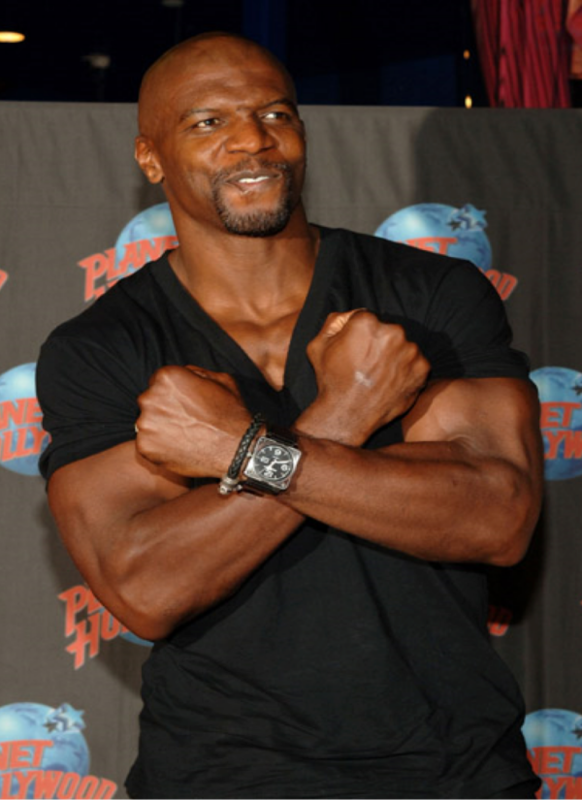 Terry Crews, an American actor, comedian, activist, artist, and former American football player has been seen with BR01. He has recently worked in “The Expendables” and “Deadpool 2” movies. He is also very famous among gaming community and he also stars in “Crack Down 3” video game released on 15 Feb 2019. Jensen Ross Ackles is an American actor and director. He also has been spotted wearing Bell and Ross BR01. He has acted in the very popular fantasy series “Supernatural”, “Days of Our Lives”, and in “Smallville’. Danneel Harris, an American actress and model have also seen wearing BR01. Other famous celebrities seen with bell and rose watch are Tom Hanks, Brad Pitt and Bruce Springsteen. Tom Hanks and Brad Pitt both were wearing BR Vintage 123 with a slight variation. Thomas Jeffrey Hanks commonly known as Tom Hanks is a world-famous American actor and filmmaker. He showed his support for Bell and Ross by wearing BR Vintage 123 Automatic. Bruce Springsteen , an American singer songwriter known for his poetic lyrics was also seen wearing a nice Bell & Ross 126 XL self-winding automatic watch featuring 42.5mm stainless steel case with black leather strap. Brad Pitt wore BR vintage 123 Jumping Hour, a unique watch offered by the company. Jumping hour does not have a hand that moves in circular motion around the dial Instead of a hand it uses numerals seen through an aperture, which instantly change on the hour. 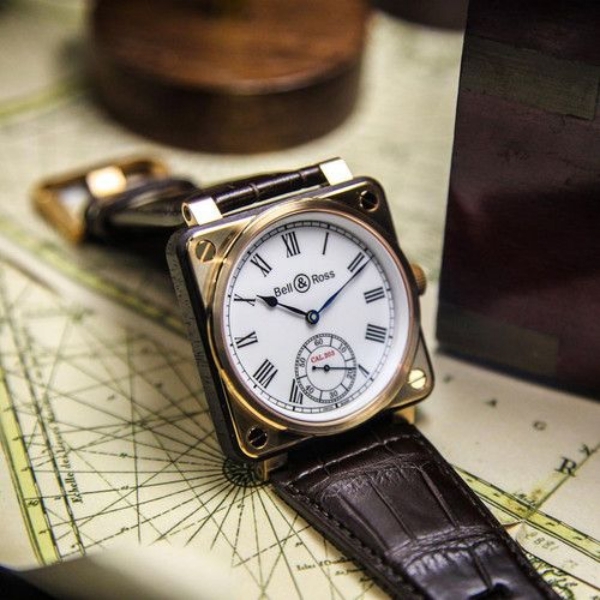 Bell & Ross was born due to passion for military watches and functional design. Their watches designs are highly influenced by military. Military is actually the first organization that approached watchmaker to make a watch that can be worn on the wrist so it is because of the military that we wear wrist watches today. The company has three main lines for their watches. Each line is easily distinguishable from other by its shape. The first one is “Aviation” that is dedicated to the aviation industry and has a square face. The second one is “Marine”, inspired by the sea it is dedicated to sea related ventures such as deep diving. These watches will work accurately under immense pressure of water. The third line is called “Vintage” and it is inspired by world war 1 and world war 2, this collection has classic retro designs. Carmen Jorda, a Spanish car racing driver is selected to be the brands ambassador. She was zealous about the racing from very young age. She was the development race driver for Lotus and Renault Sport Formula One teams from 2015 to 2017. She became the 11th women to be a part of formula 1 driver line up in the history. By selecting Carmen bell and ross added motor race driver to the professional users of their products. Bell and Ross made the right decision there selecting her to be the brand ambassador because of her strong and charismatic personality. She has been seen at many events wearing Bell and Rose watches including on the red carpet.